All bonds are issued TWICE monthly, on 1st and 15th of each month except Mazel Tov bonds which are issued ONCE monthly on the 1st of each month, unless stated otherwise. To purchase at the rates listed below, full payments and completed forms MUST BE RECEIVED by April 30th, 2019. 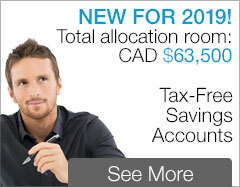 Maximum allowable amount purchased by one purchaser per rate period is $500,000. Issued on the 1st and 15th of each month. Issued on the 1st and 15th of each month. 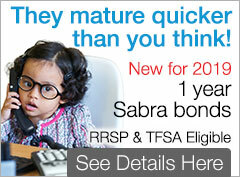 Semi-annual interest paid every May 1st and November 1st. Issued on the 1st of each month. Maximum allowable amount purchased by one person during each monthly sales period, registered in the name of one holder, is $2,500; interest paid at maturity. Issued on the 1st and 15th of each month. Interest paid every June 1st and December 1st. 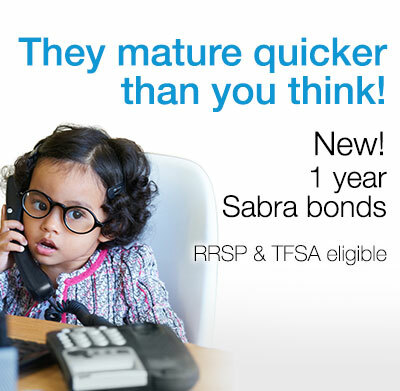 All Israel bonds are eligible for: self-directed RRSP / RRIF / RESP/ TFSA. Israel bonds can be registered to more than one individual. CANADA-ISRAEL SECURITIES, LIMITED CAN ONLY ACCEPT ORDERS FROM CANADIAN RESIDENTS. $CDN Israel bonds can only be registered to Canadian residents.